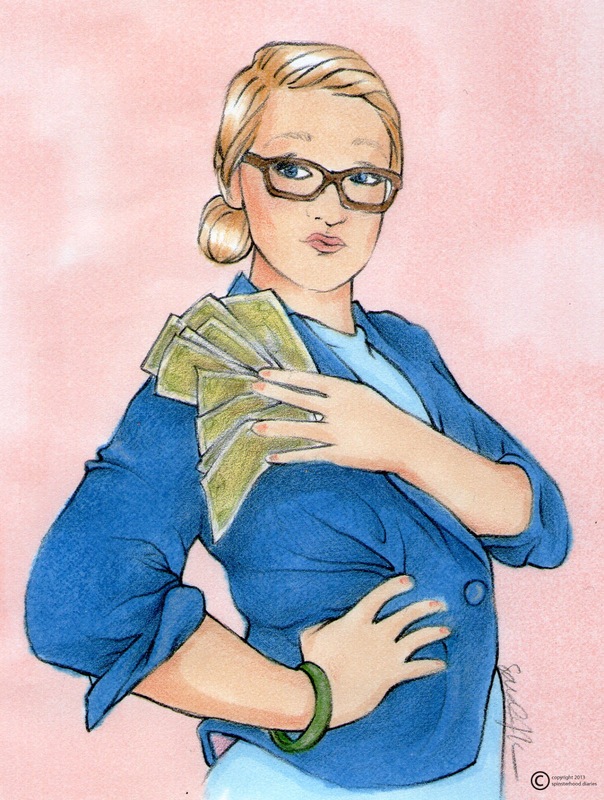 The Spinsterhood Diaries: #25: Make that paper, girl! One time I heard a DJ on the Big DM 101 say "Make that paper, girl," and I immediately adopted it as my own personal mantra. Now that we've had the pep talk, let's talk about why makin' that paper is awesome. Of course, money can't buy happiness, but let's be real here. Manicures are awesome, and so is traveling. And so is shopping...even if it's just online when you're eating lunch at your desk. Also - and this is my personal fantasy - one day, someone else can clean your apartment. I mean, unless you're really into cleaning. Weirdo. ...you can still make some noise if you have acrylics, though.